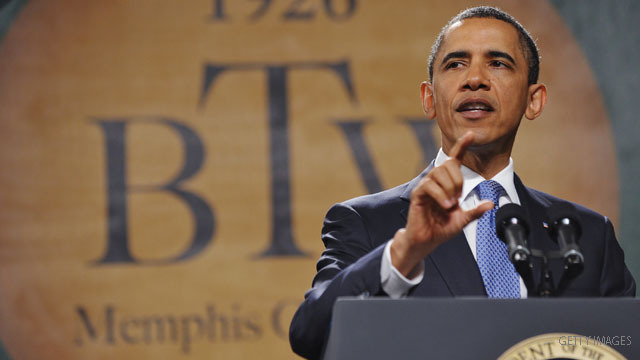 Memphis, Tennessee (CNN) - It's graduation day for Booker T. Washington High School in Memphis, and President Barack Obama flew to town to address the students who have beaten the odds to receive their diplomas. The students knew he would address to them from the stage, but the president surprised them by visiting them in their holding room prior to the ceremony. They represent one of the most improved schools in America. Congratulations to the graduating class of Booker T. Washington High School! I read your story with avid interest and I take my hat off to you for you did not allow circumstances to dictate or measure your success.